“Y’all know Kanye’s part, right? 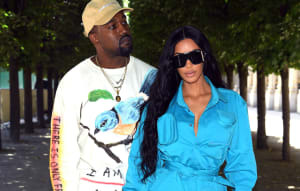 "In making 'Ultralight Beam,' Kanye was very clear on what it was that he was trying to do," Kelly Price explained to The FADER last month. "No matter who we are and where we come from, there are some things that everyone can relate to. Everyone can relate to what love feels like. Everyone can relate to what pain feels like. There are certain things that everyone will experience, like death and sickness. Those are things that are common to humankind, and 'Ultralight Beam' is the kind of song that would be common to humankind. It doesn’t matter who you are, there is always that light." Chance the Rapper is one of several energetic voices on "Ultralight Beam," and he performed the song last night during a show in North Carolina with a little help from the audience. "Y'all know Kanye's part, right?" he asked. The crowd responded enthusiastically. Watch below.